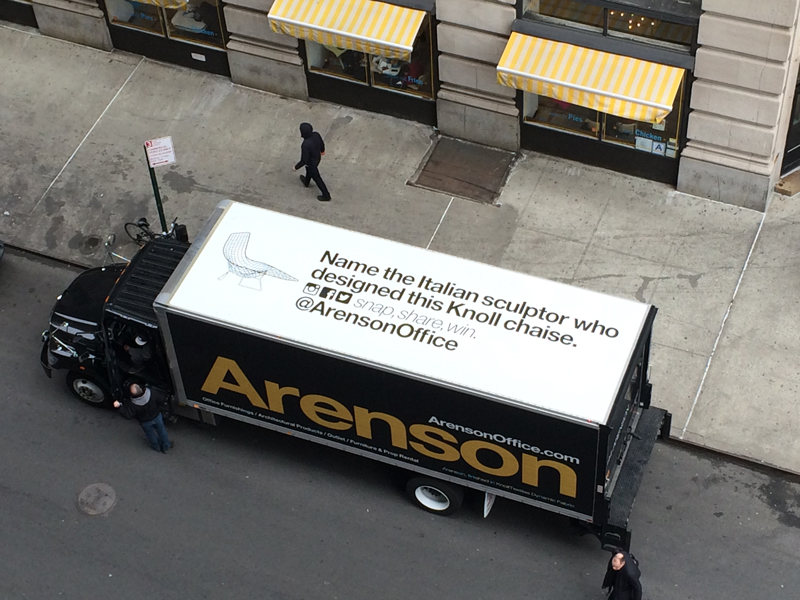 It was an exciting challenge to use the opportunity of a truck redesign to engage the city of New York with the core of our business. 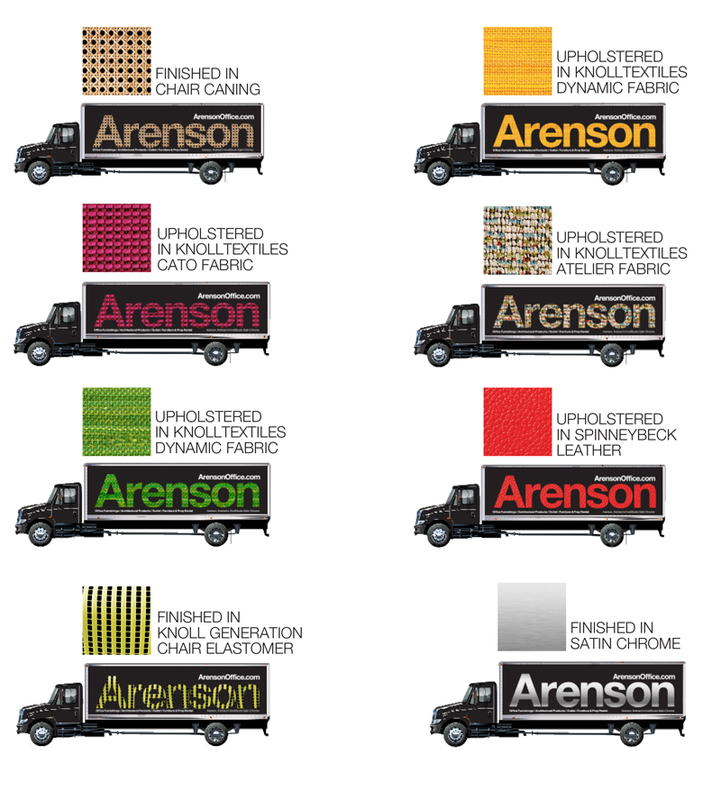 On the side of Arenson’s new furniture delivery trucks, you will find our name rendered in a different furniture finish – textile upholsteries, chrome, elastomer, caning and leather. High-resolution macro-photography of finish swatches was used to capture each image, which when scaled 20 feet long, provides a stunningly luscious close-up of each material’s texture. 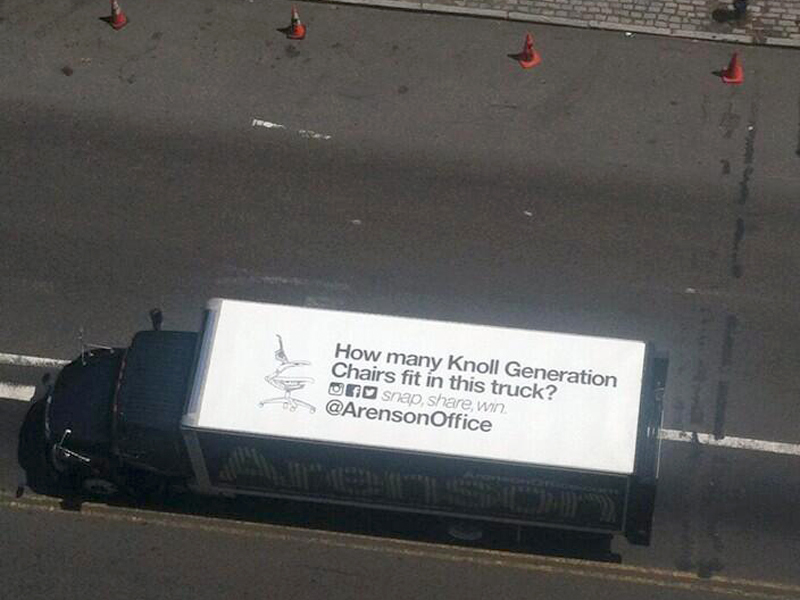 Another goal in designing our trucks was to engage the clever people of New York City working high up in office towers. 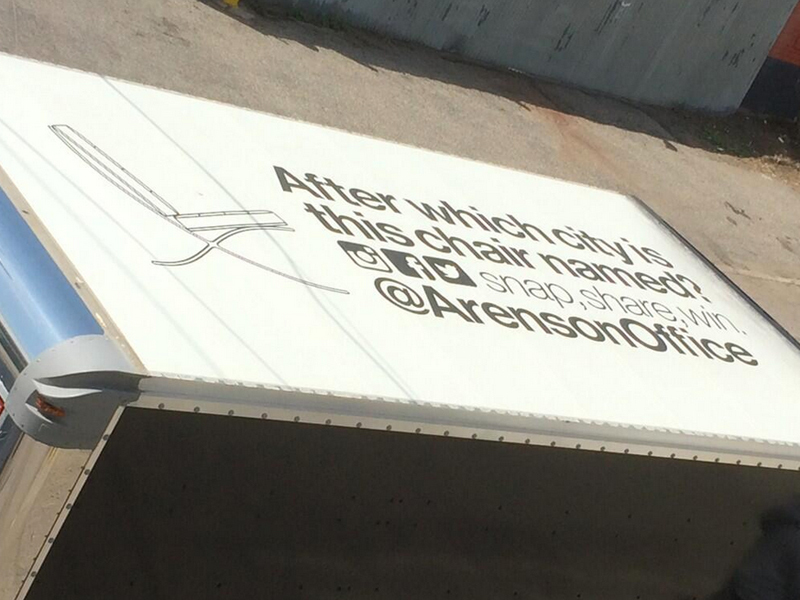 This led us to utilize another side (a side that usually goes ignored.) 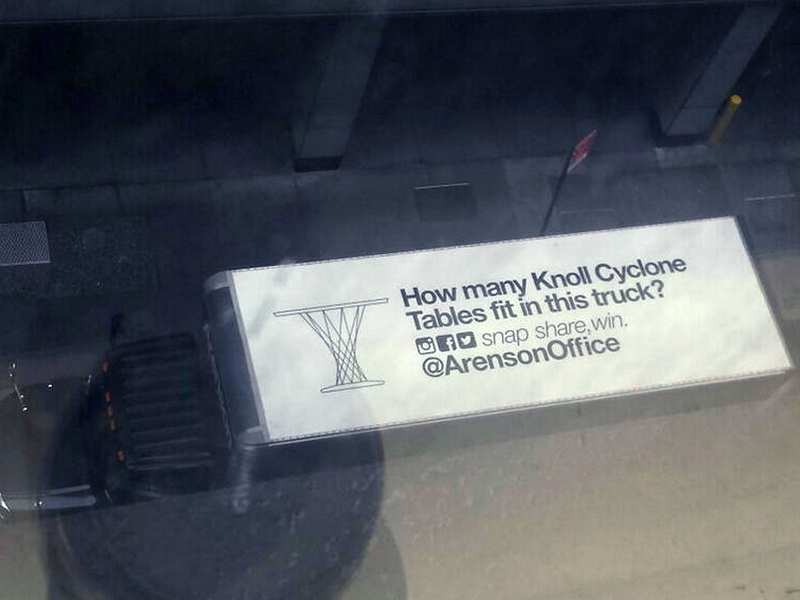 Looking down on them from above, you will find a different furniture trivia question on the roofs of each of our trucks. Check out all the Truck Trivia questions and answers at www.aof.com/truck-trivia. If you see a truck, parked in front of your building or stopped at a light, be sure to snap a pic and post to social media to enter our quarterly drawing.